Charge! 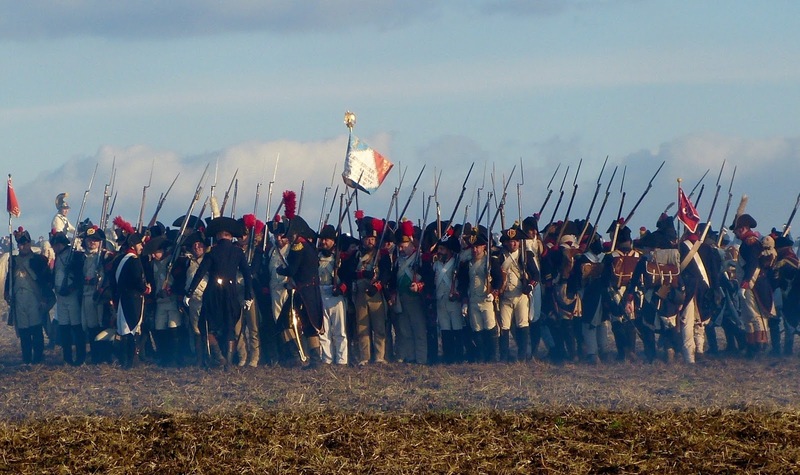 Re-enactors raise their swords at the Battle of Austerlitz. Cries of "Vive la France" (Long live France) and "Vive l'empereur" (Long live the emperor) echoed across the battlefield as swords clashed and bayonets were drawn during the annual re-enactment of the Battle of Austerlitz, also known as the Battle of Three Emperors, last Saturday. 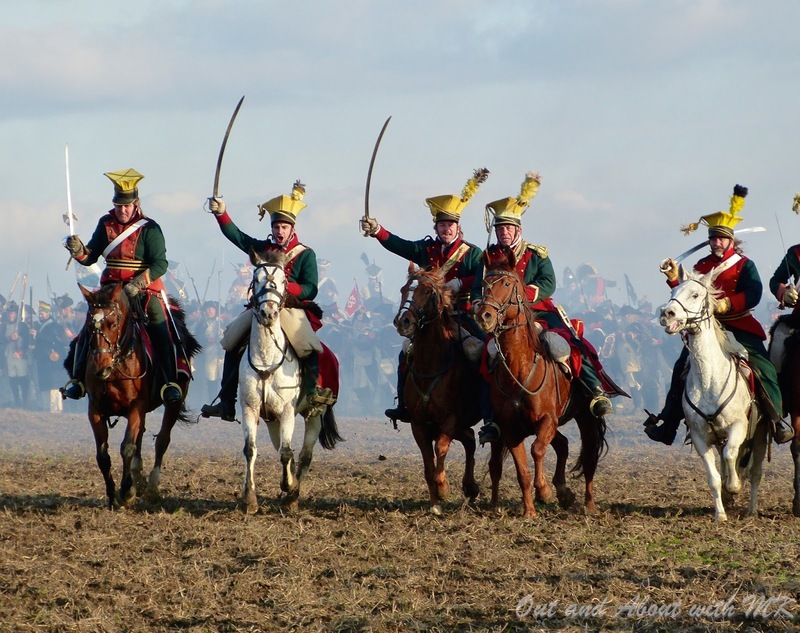 To commemorate the December 2, 1805 battle between France and the allied forces of Austria and Russia, more than one thousand history enthusiasts hailing from twelve different European countries traveled to the Austerlitz battlefield located under Santon Hill, which is near the village of Tvarozna in current day Czech Republic. The sun's feeble rays did little to warm the encampments of the troops prior to the battle. 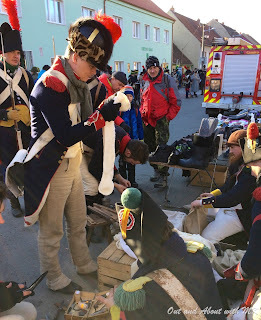 While an authentically clad French fusilier examined some wool socks at the market, I marveled at his lightweight uniform. Rubbing my hands together in an attempt to banish the cold, I snapped a photo and was tempted to buy a pair of wool socks for myself. "How were the troops able to cope with the cold in 1805? ", I wondered. My feet were freezing! When Stéphane revealed that he would like to participate in a historical re-enactment, I jokingly told him that I would don a costume and join him. 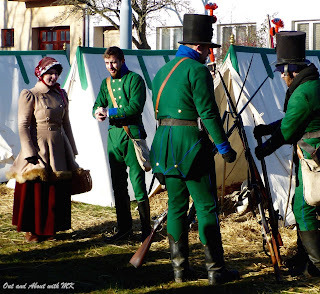 Unlike the exclusively male-only troops in 1805, I noticed several women re-enactors in the infantry and cavalry. Passing troops lined up for inspection, soldiers filling cylinders of paper with gun powder and some delicious smelling soup bubbling over a blazing campfire, we decided it was time to make our way to the battlefield to await Napoleon's arrival. Anxious that we would miss the first shots, we hurried past a stand with sausages roasting on a grill but paused long enough to buy some mulled wine from a passing vendor to warm our hands and our bellies. We arrived just in time to see American/French Mark Schneider, one of the foremost Napoleon re-enactors, trot onto the battlefield astride a dapple grey horse. Members of the French expat communities in Prague, Vienna and Bratislava cheered for the leader of the "Grande Armée". Known as the French emperor's greatest victory, Napoleon's 68,000 soldiers beat the combined Russian and Austrian forces of 90,000 men in less than nine hours. At the end of Napoleon's finest tactical masterpiece, the battlefield was strewn with the bodies of 27,000 Allied forces and 9,000 French troops. 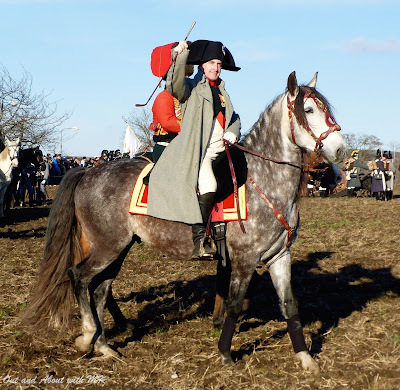 In a short speech prior to the re-enactment, French Ambassador to the Czech Republic Charles Malinas stated that, given the current crisis in Europe, the battle was a moment of joy but also a moment of emotion. I couldn't have agreed more. Please click here to see the photo album posted on my Facebook page. 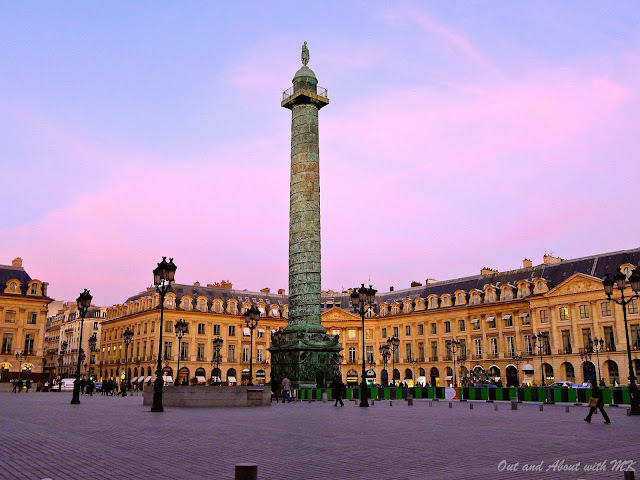 The Vendôme Column, formerly the Austerlitz Column, at the Place Vendôme in Paris is a memorial to Napoleon's victory at Austerlitz in 1805. Its 425 spiraling bas-relief bronze plates were made out of cannons taken from the Russian and Austrian forces. 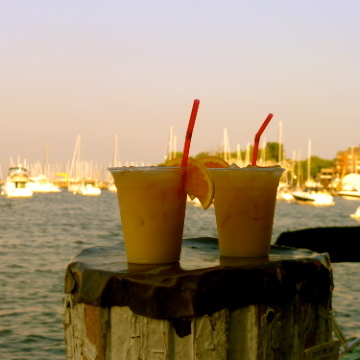 Great post!!! As always, informative with wonderful photos...but where's Stephane ?? It's so surreal to see a line of soldiers with bayonets! Wait wait, MK, you can't tease us with a post like this and not show a snap of you and Stephane in costume! Sneaky Monkey!